SEATTLE, WA--(Marketwire - April 19, 2010) - Ellisys, a worldwide leader in protocol test and analysis solutions, today announced the release of the Ellisys Bluetooth Explorer 400 (BEX400) Instant Protocol Analysis System at the 2010 Bluetooth SIG All Hands Meeting (AHM) in Seattle, WA, at the Fairmont Olympic Hotel. 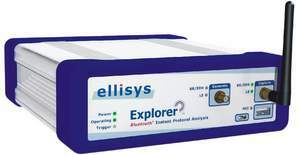 Ellisys will publically demonstrate the Explorer for the first time to meeting attendees during the product demo session scheduled for Wednesday, April 21, 2010. To date, Bluetooth engineers have struggled with severe limitations presented by legacy Bluetooth development tools, including mono-channel visibility, piconet intrusion, and complex configuration requirements. Today, with its BEX400, Ellisys breaks new ground in Bluetooth protocol analysis, overcoming the drawbacks of legacy approaches to Bluetooth sniffing. "It is with a lot of excitement that we finally release the result of several years of R&D to the Bluetooth community," stated Mario Pasquali, Ellisys, president for product development. "We're proud to say our design team delivered right on point, bringing several unique hardware and software innovations that will speed engineers' development cycles and help them to confidently introduce new Bluetooth wireless technology products to the marketplace." The Ellisys BEX400 All-Channel sniffer robustly records any packet, at any time, from any neighboring piconet, with zero-configuration and without being intrusive. The revolutionary BEX400 hardware engine, powered by the Ellisys Rainbow™ technology, supports synchronous Full-Spectrum, All-Channel, concurrent capture of Classic Bluetooth technology (v2.1 + EDR), Bluetooth v4.0 and the hallmark feature, Bluetooth low energy technology, as well as HCI traffic. "Designing such a unique piece of equipment has been a very motivating challenge," said Sylvain Fasel, Ellisys, Bluetooth engineering manager. "We are huge fans of Bluetooth technology and we sincerely hope our contribution will help engineers build better products more quickly." The Explorer's software application is designed to give the user an immediate understanding of complex traffic and topologies, and provides unique and intuitive features, including Instant Piconet™ and Instant Timing™ views. 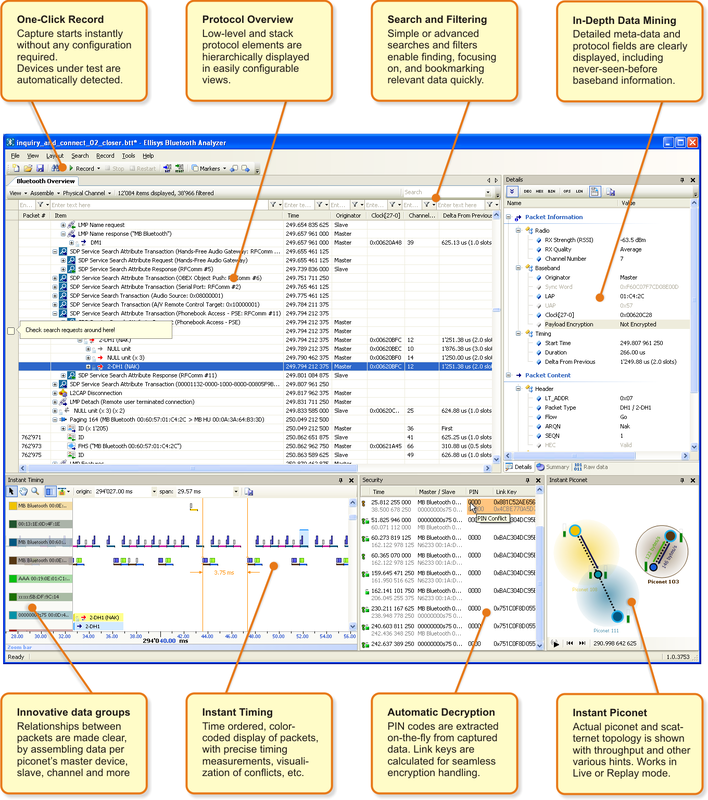 The Instant Piconet view provides an iconic, dynamic, and intuitive graphical depiction of piconet and scatternet topologies and activities. The Instant Timing view provides a graphical, horizontal chronology of all captured traffic, and includes easy timing and throughput measurements with 1/8th symbol precision. Relationships between protocol layers and sequences are clearly presented and easily understood across multiple synchronized views. "This expansion of the Ellisys Protocol System will enable Bluetooth SIG members to enhance their product development efforts," said Michael Foley, Ph.D., executive director, Bluetooth SIG. "The sniffer's support for the Bluetooth Core Specification v4.0 will help these organizations bring quality implementations of the new Bluetooth low energy technology to market." 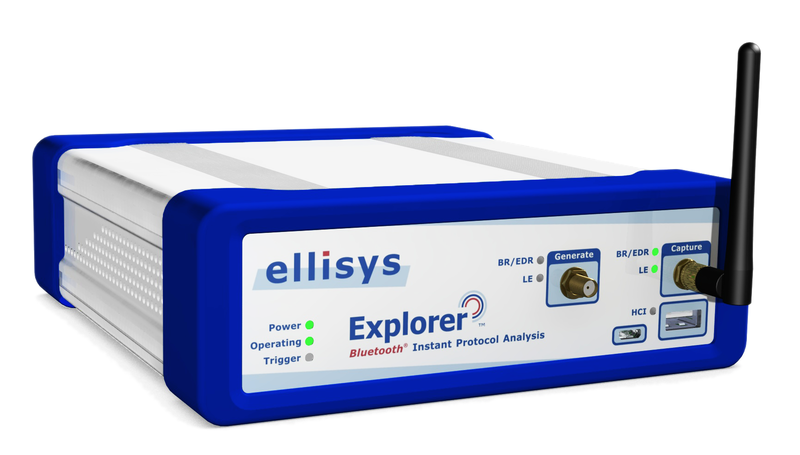 The Ellisys Bluetooth Explorer 400 Instant Protocol Analysis System (model BEX400) is available from Ellisys directly or through a worldwide distribution network. For more information, including software downloads, please contact bt@ellisys.com. Ellisys, the Ellisys logo, Better Analysis, Ellisys Bluetooth Explorer, and Rainbow, are trademarks of Ellisys, and may be registered in some jurisdictions. All other trademarks, product and company names, are the property of their respective owners.